Few people like to think about the time when they may have to move into a nursing home. As a result, most people are unprepared financially when it happens. 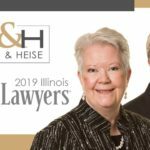 If you are concerned about how you will pay for nursing home care, contact Bush & Heise, Elder Law Attorneys in Barrington, Illinois, for a free initial consultation about your elder care options. People who don’t plan ahead end up paying for nursing home care out of their pocket until their personal savings run out. While you can qualify for Medicaid after you have exhausted your savings, few people would want all of their hard-earned dollars to be spent on nursing home care. There is a way to protect your assets before you are admitted to a nursing home. What is Medicaid Estate Planning? Medicaid planning uses techniques such as asset transfers and the creation of special needs trusts to preserve assets while still qualifying for Medicaid. To be effective, Medicaid planning must be done years before you need it. The government will look back at any asset transfers you made in the years before applying for Medicaid. This look-back period is five years under federal law. If you made any asset transfers during the “look-back” period, the government will void those transactions and count those assets as your personal savings to be used to pay for nursing home expenses. Many people are confused by Medicaid regulations and don’t understand which property they can keep without affecting their eligibility for Medicaid. Our estate planning lawyers have over 40 years of experience assisting clients with elder law matters such as Medicaid planning. 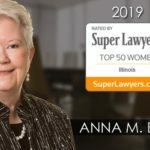 Contact our elder law firm to speak directly with an elder law attorney – Attorney Brian L. Heise is a member of National Academy of Elder Law Attorneys.